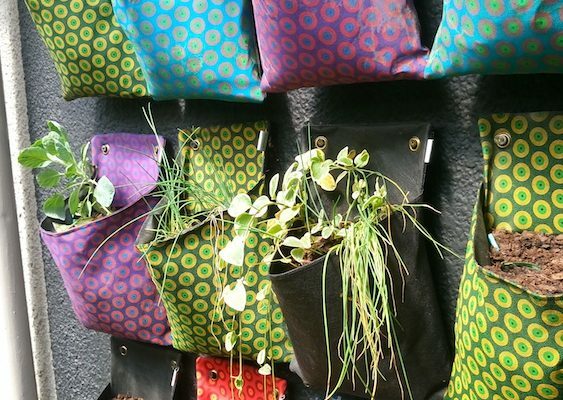 If you are looking for a simple solution to urban gardening that is easy to use and makes any space look incredible, then our planting kits are your perfect match. 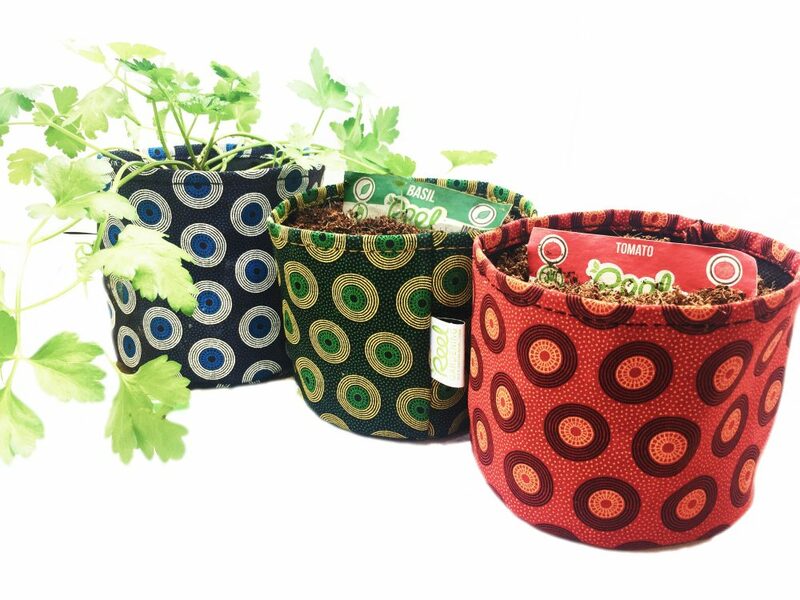 These African inspired kits are designed to be simple and fun and enable anyone to grow their own herbs or vegetables anywhere. 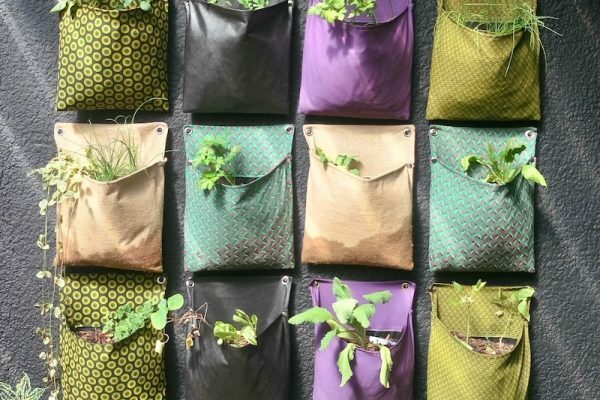 IF YOU DON’T HAVE PLANTING SPACE, LIVE IN AN APARTMENT, WANT TO DECORATE YOUR PATIO, OR INDOOR AREAS, THEN OUR PLANTING BAGS AND/OR PLANTING POTS ARE THE IDEAL FIT FOR ANY SPACE! 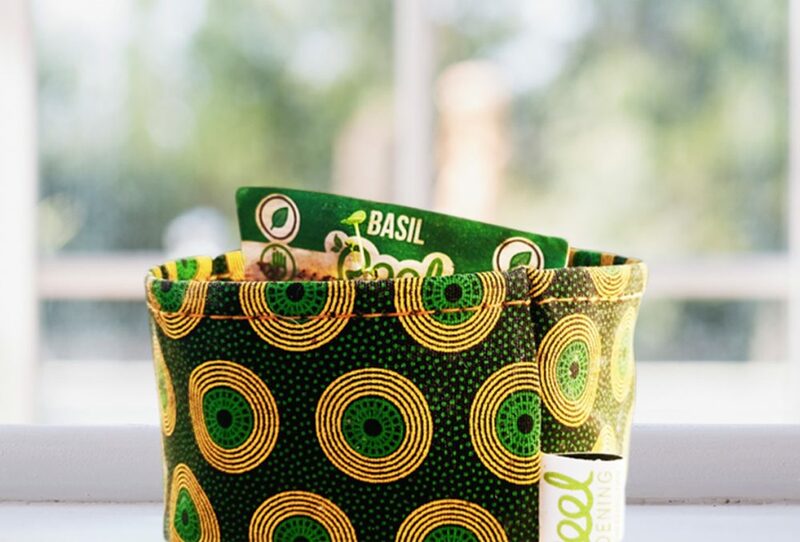 The Planting Pot is handmade from traditional South African ShweShwe Fabric in Johannesburg. It is designed to be placed on any surface that is in full sunlight, either inside or outside. 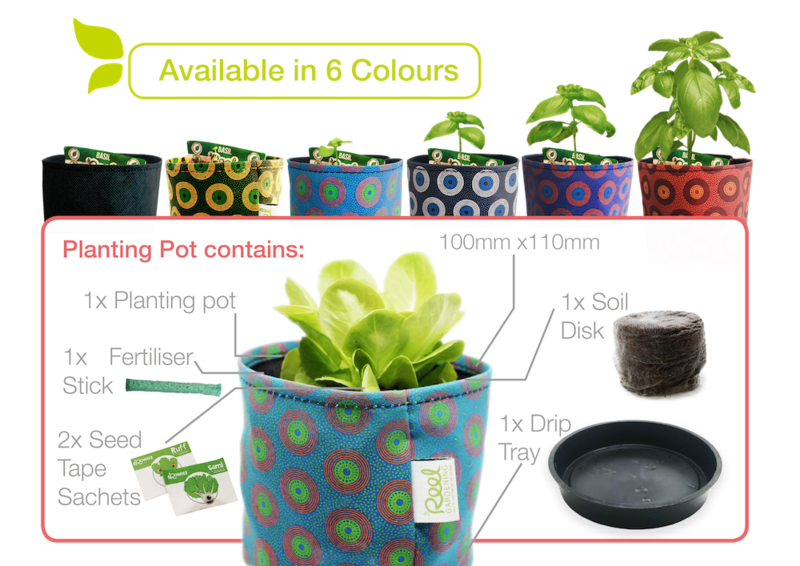 The pot contains an internal drip tray and is designed as an aeration pot creating healthier plants. It come with everything you need to get growing all you need to do is place the pot in a sunny spot and water each day. 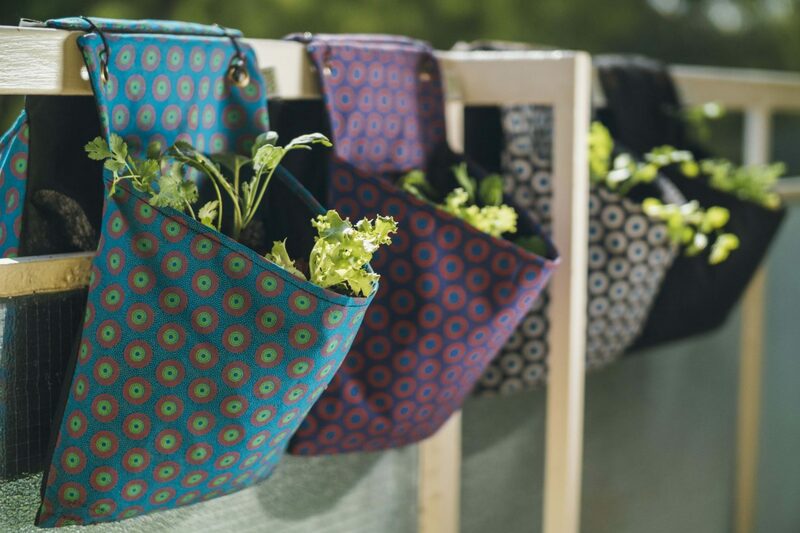 Our Planting Bags come as a set with two matching bags. 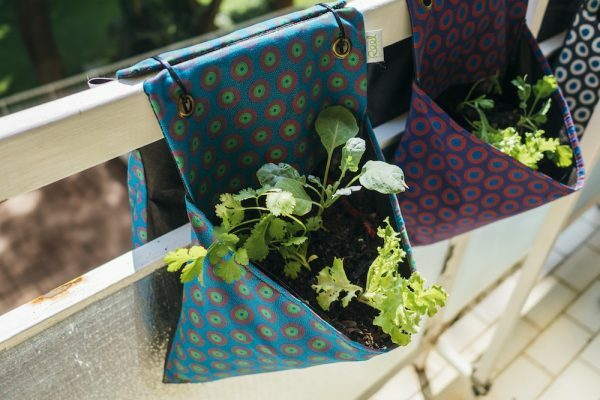 These bags can be placed over a balcony railing or ledge, hung or placed on a wall. 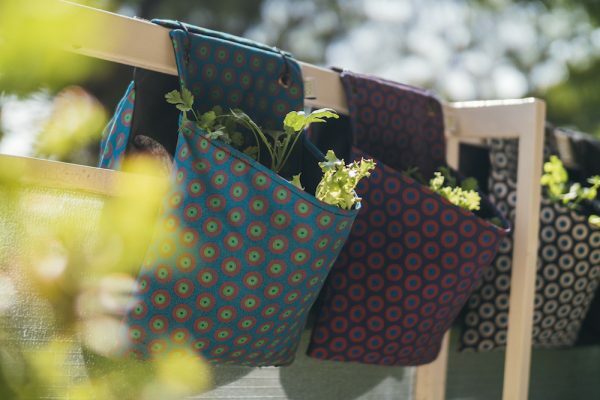 The Planting Bag is handmade from traditional South African ShweShwe Fabric in Johannesburg. 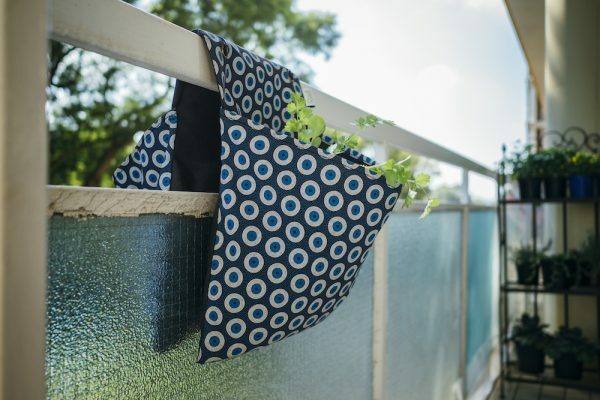 The fabric on the back of the bag is waterproof and will keep your wall dry. 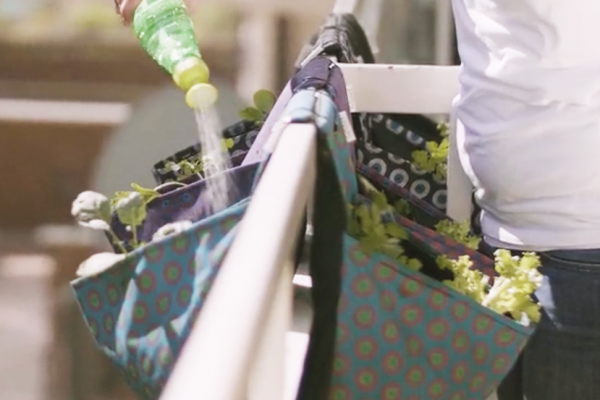 The bag is designed as an aeration pot, creating healthier plants. Ideal for vertical growing in any space, all you need is soil, water and sun. There are various veggie, herb or flower mixes to choose from and they come in a variety of colours.